Size of a finch, on the ground at first sight, eating seeds, spotted ring on right leg. 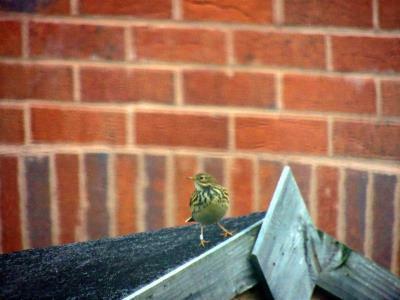 Attached pictures sent through picasa as picture shot through a blind. 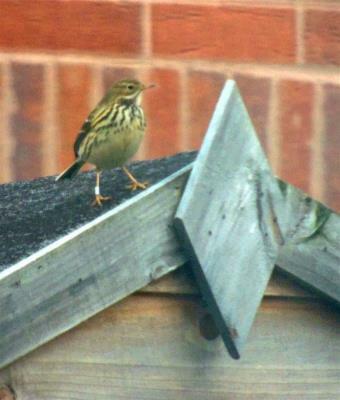 51 The nearest I can suggest is a Tree Pipit. Shape of beak and pinkish legs /feet are a match though the upper chest and throat markings are a bit dark.